House bill HR 1313, the Preserving Employee Wellness Program Act — which was approved in straight party line voting in a House committee last week — would allow employers to mandate that their employees undergo genetic testing and share their results to earn insurance premium rebates. Companies can’t ask for non-voluntary employee genetic analysis today, but the new law would allow employers to require those tests if they are offered as part of a workplace wellness or disease prevention program. The bill could end up in the second phase of ACA repeal legislation. It is sponsored by Rep. Virginia Foxx (R-NC). From Undervalued: “Re: American Board of Internal Medicine. Called me this evening to take part in a paid survey about unnecessary testing. Doctors are paid $50 for participating, except family practice docs get only $40. 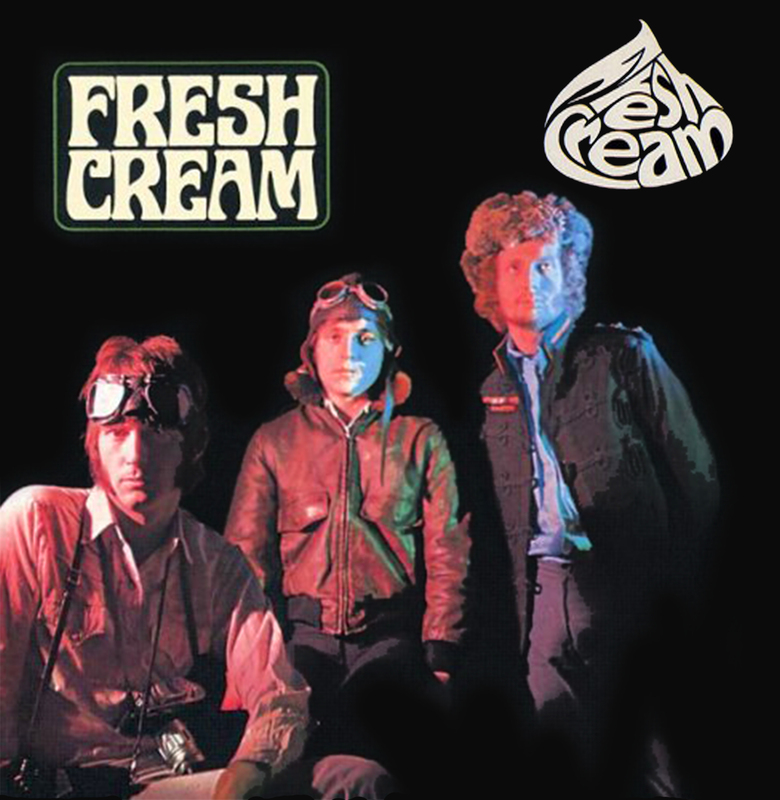 As fellow PCPs, ABIM should be ashamed for its undervaluation of family practice colleagues.” I wanted to weigh in on ABIM’s insulting approach, but I got distracted by trying to remember which 1970s band had a psychedelic-looking logo like ABIM’s. From Stats Rat: “Re: HIMSS publication survey. Says 70 percent of HIMSS17 attendees are actively seeking or planning artificial intelligence.” I don’t think I would draw too much insight from a “top story” based on a survey with just 70 responses. From Bill Gates’ Brother Pearly: “Re: webinars. Could you offer CMEs or other CEUs to participants? Accredited organizations might be willing to help and you could have more topics related to informatics.” I like the idea, but would indeed need external help since I recall from long-ago hospital experience what a pain it is to accredit educational programs for CEUs. From Trenton Medusa: “Re: Salesforce Health Cloud. You said you liked what you saw at the HIMSS conference. How much of it was real?” I saw just a short demo of one use case. 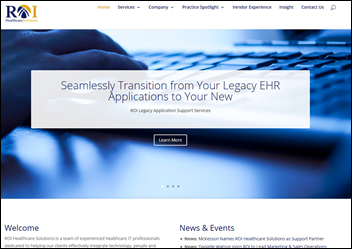 I was mostly intrigued by the possibilities of having a large, technically sophisticated customer relationship management player turn its focus to health system-physician and physician-patient interaction. 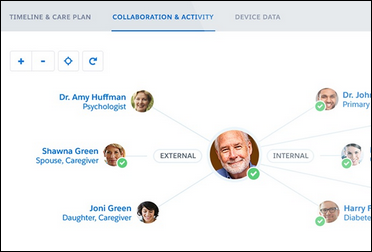 Health Cloud is a new offering and I’m not sure that either Salesforce or its prospects have a clear vision of how it can be used. I’m also not sure that Salesforce and its reps are prepared to devote the level of hand-holding that health systems have grown to expect in assuming that their vendors will tell them not only how to use their software, but how the health system should conduct its business (we chronically insecure health systems want vendors to share what they’ve learned at other sites). Lastly, the Salesforce model often involves selling third-party products and services to meet particular needs and that will require money and management of additional vendors. My conclusion is that health systems need to determine for themselves how much of the potential of Health Cloud has been realized at a live site and have a clear plan what they’ll do with it. I’m interested in hearing about firsthand experience. They don’t understand the purpose of the therapy, question its value, or weren’t given the chance to discuss the expected benefit and outcomes before the prescription was generated. They left their rushed encounter without remembering what they were supposed to do. They can’t afford the medication. They are adjusting their own doses for what may or may not be good reasons. Their doctor and/or pharmacist didn’t do a good job explaining how or when the medication should be taken or didn’t develop a trustworthy rapport with them. They are experiencing side effects but don’t know what they should do about them. From Robert Lafsky, MD: “Re: police technology. Note medical parallels – text-based recording, proprietary databases, and enthusiastic adoption of technologies without adequate trials.” A law professor’s editorial says we spend $100 billion per year on public safety without really knowing which police tactics or technologies work and without conducting any sort of cost-benefit analysis. It calls out expensive gunshot sound detection system ShotSpotter, which is being used even though police departments haven’t analyzed whether it has decreased incidents or increased arrests. The article also notes that, as in healthcare, it’s hard to identify causation vs. correlation and it’s even harder to quantify events that were prevented. My not very conclusive poll finds that the health IT business will either get better or will get worse. Perhaps the only takeaway is to avoid making a plan that involves it remaining the same. New poll to your right or here: In your most recent physician or hospital encounter, were your electronic records from other providers available and reviewed? 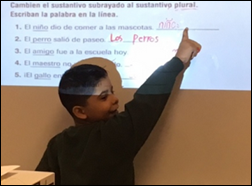 Mrs. R’s second grade English as a Second Language class in New Jersey is using the document camera we provided in funding her DonorsChoose grant request to perform their work on the classroom whiteboard, which gives the students confidence and instant feedback from their classmates. It also eliminates teacher photocopying time and expense. I like funding document camera projects because they are high impact, super low cost at less than $200, make it easier for the teacher to make lessons interactive, and help teach students vital presentation and persuasion skills. Welcome to new HIStalk Gold Sponsor ROI Healthcare Solutions. The Atlanta-based consulting firm, founded in 1999, offers legacy application support, application management services, ERP optimization (as an Infor Global Alliance Partner), supply chain EDI, staff augmentation, and enterprise content management services. The company’s expertise includes Epic, Cerner, McKesson, Allscripts, RelayHealth, and Hyland. The company offers case studies and a client list. McKesson has named the company as a support partner to provide post-sunset support for Horizon Clinicals. President Jim Jancik’s 25-year career includes experience with CGEY and McKesson, while founder and EVP Kathy London spent time at McKesson, Siemens, and Healthcare Systems Management. Thanks to ROI Healthcare Solutions for supporting HIStalk. Dear health IT site that isn’t owned by HIMSS for a change: API stands for application program interface. You should check out this thing called Google. Listening: Doro, the German metal queen (formerly of Warlock) who’s still banging heads at 52. The New York Post cites unnamed sources who predict patient harm from the rushed Epic implementation of NYC Health + Hospitals. 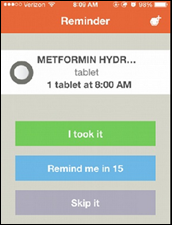 McKesson sells its ambulatory EHR/PM products to E-MDs. MD Anderson Cancer Center goes live on Epic. New VA leadership announces that it is reassessing whether the VistA EHR fits into its long-term plans. CMS pledges to remove Social Security numbers fro Medicare cards starting in April 2018. Former HHS CTO Todd Park is named US CTO, replacing Aneesh Chopra. 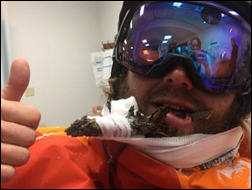 Greenway Medical Technologies announces its first quarterly results as a publicly traded company. Wexner Medical Center at Ohio State goes live on Epic. Kevin Fickenscher, MD is named president and CEO of AMIA. Hotel reservations were opened for HIMSS13 in New Orleans following the conclusion of HIMSS12 in Las Vegas. Brazen, intentionally fraudulent overcoding seems to be acceptable, according to publicly available Medicare data. Explain why some of your local doctors have 100 percent of visits billed at 99215, which is impossible since there’s not enough time in the appointments and not every patient qualifies for a level 5. Medicare turns its back, ACOs permit it, the press doesn’t care, and it’s too complex for patients to understand, so Medicare keeps paying and healthcare costs keep going up. My former employer pushed sales of a broken piece of software REALLY hard. We also didn’t have the resources to implement it in any sort of reasonable timeframe. Alternately, they fired a woman in the middle of a long fight with brain cancer. Awarded bids to vendors on sole source contracts when an RFP is the rule. Hired his daughter to work in our group. So uncomfortable for everyone. Actively would not admit to customers that we knew we were going to miss contractual deadlines because sold product offerings hadn’t even been agreed to or started, and that left staff hanging in front of execs and colleagues at customer site in a state of lying through omission or avoidance. It was very trust abusive practice of what was explained to me as "incremental disclosure." Should we continue to bill for a physician who is billing for telemedicine visits as office visits? The CEO of the hospital pressuring physicians to write narcotics for patients who would complain if they did not get them when they were not warranted . All for patients satisfaction scores and money. Moved an outpatient IV treatment center to inpatient AO center just because they could charge way more despite increased co-pay and inconvenience for patients. This week’s reader-suggested question: what’s the dumbest EHR design flaw you’ve seen recently? Inpatient or outpatient, as a user or as a vendor, tell us what you’ve seen. Google’s DeepMind Health announces plans to create a blockchain-like patient record and auditing tool. The Republican ACA repeal bill makes its way through the House, with opposition express by several healthcare groups. VA Secretary David Shulkin tells a House committee that the VA should move to commercial software products rather than build its own. Shares of NantHealth drop sharply after a report described founder Patrick Soon-Shiong’s $12 million donation to the University of Utah that required it to purchase $10 million of NantHealth’s services, also allowing the company to inflate the success of its GPS Cancer screening test. India-based Tech Mahindra announces that it will acquire The HCI Group for $110 million. The Advisory Board Company settles its differences with an activist investor. ZirMed will lay off 60 employees, about 9 percent of its workforce, as consolidation and acquisition of physician practices reduce its customer count and the need for support technicians for obsolete products. The layoffs will be equally spread among offices in Louisville, Chicago, and Culver City, CA. NantHealth’s share price slide continued through last week, closing at $4.33, down 77 percent from their first day of trading in June 2016. Gordon Hospital (GA) will go live with Oracle PeopleSoft In October 2017. Fairview Maple Grove Hospital (MN) will go live with Omnicell’s automated dispensing cabinet System in 2018. Navicure hires Kermit Randa (PeopleAdmin) as chief growth officer. 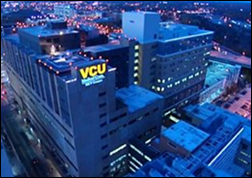 Several employees of community physician groups and one employee of a contracted vendor are fired after inappropriately accessing the medical records of pediatric patients of VCU Health System (VA). A reader-forwarded email suggests that a GetWellNetwork payroll employee has fallen for the now-common W2 phishing scam where an unknown hacker impersonating the CEO sends an email asking for a file of year-end employee tax records. Above is an example of an authentic-looking email intended to harvest the information needed to obtain fraudulent tax refunds. Epic’s Judy Faulkner has made herself uncharacteristically available for interviews lately. She tells Modern Healthcare that physician burnout started 20 years ago when they lost their fight for healthcare control and government and big business took over. She says her focus is on making the company’s software a “joy to use,” helping derive value from data, and emphasizing collaboration. The 73-year-old Faulkner says she doesn’t see her role at Epic changing over the next five years. 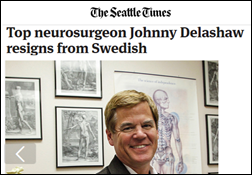 Neurosurgeon Johnny Delashaw, MD — chair of the Seattle-based Swedish Neuroscience Institute — resigns three weeks after the local paper publishes an expose of internal complaints about the organization’s culture of retribution, inappropriate care, and the lack of participation by Delashaw in surgeries for which he generated $86 million in his first 16 months on the job. He left OHSU in 2012 as Oregon’s highest-paid state pensioner at $663,000 per year, earning more than even the former University of Oregon football coach. Salesforce earns the number eight spot on Fortune’s list of 100 Best Companies to Work For. The SSI Group will exhibit at the 2017 NCHFMA Annual Meeting March 12 in North Carolina. The Utah Business Insider podcast features Solutionreach CEO Jim Higgins. ZeOmega will exhibit at the Women Leading Business Healthcare Summit March 15-17 in Las Vegas. Regarding the ABIM logo – do you think it is similar to the lettering for Led Zeppelin? ROI’s (the new sponsor) screen shot that Mr. H included set me into a fit of chuckles as it reminded me of one of the best comments from the Epic 2016->2017 user reaction thread.